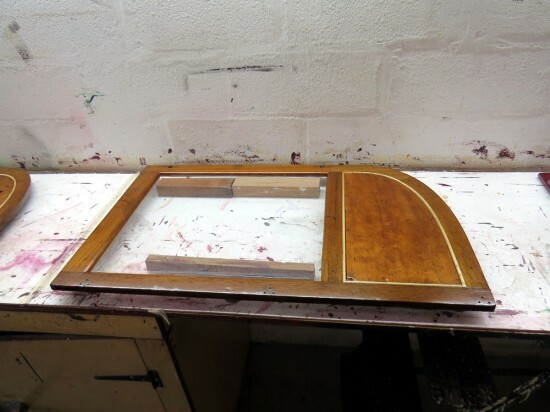 Another restoration which we don’t feature too often on these pages is that of Glasgow 488 which is currently undergoing extensive work at the Boston Lodge workshops of the Ffestiniog Railway. Recent progress has seen work coming to an end on the lower deck with attention soon to be turned towards the upper deck. 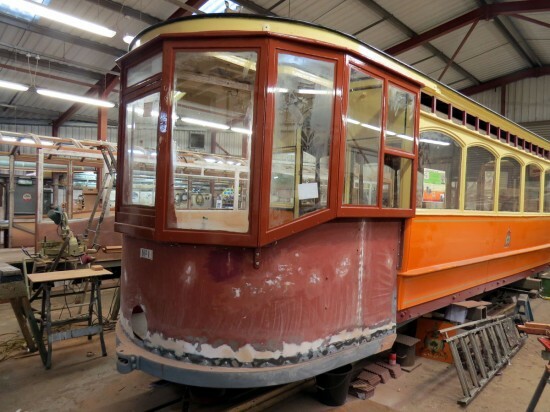 This small photo update – further photos will be added to our Gallery section soon – shows the state of the tram during January 2015. As you can see major progress has been made with the lower deck with the external panelling now in place and the side panels have been painted with the end dashes still awaiting the paint brush. Internally work is still required to fit the seats with some electrical work also required. 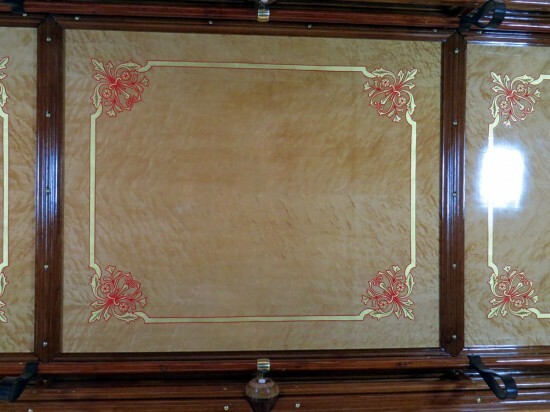 One problem the restoration team have come across is the lack of suitable moquette for the lower deck of 488. Countrywide searches have been made and they have only managed to find about half of that required. 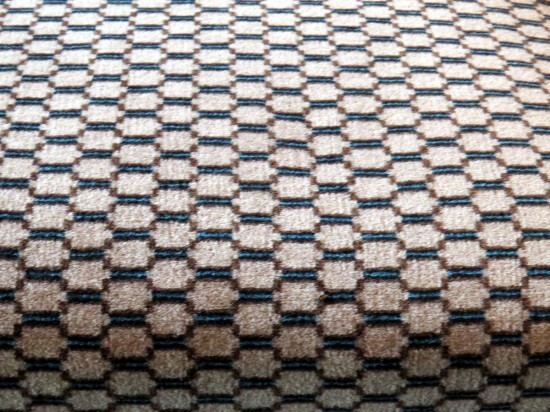 If anyone has any (see photo below for the type of moquette) hidden away the Glasgow 488 restoration team would love to hear from you, please email us at gareth@britishtramsonline.co.uk and we will then pass the information on as required. Thanks to Hugh Taylor for the information contained within this article. The exterior of the lower deck of Glasgow 488. One of the ornate interior panels. One of the internal windows is worked on.